Art Deco Style Sterling Silver Filigree Genuine Red Ruby Bar Pin / Brooch. Please see our complete selection of Sterling Silver pins / brooches. 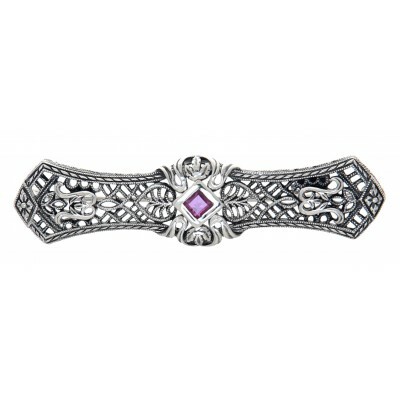 This filigree brooch is new and a quality sterling silver antique and collectible reproduction.